The Global Perspectives office hosts two annual events designed to help students as they decide which cross-cultural trip is right for them and to help students prepare for trip departure. 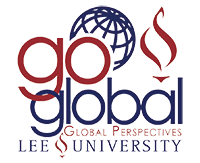 This campus-wide event showcases the numerous Lee Global Perspectives Trips and offers students the opportunity to determine which cross-cultural option best suits their needs. The fair takes place during the spring semester (view our Calendar of Events) and features booths advertising individual trips. During this event, students can speak with trip directors to learn more information about trips including travel dates, course offerings and itineraries. Representatives from Student Financial Aid are on hand to answer students’ questions regarding the availability of pending aid to help offset trip costs. While visiting the fair, students will enjoy visiting our Cultural Café, which features food and drinks from around the world. For more information on this event, Contact Us. The 2018-2019 World’s Fair will be held on Thursday, March 28, 2019 from 9:00 AM to 4:00 PM in the SMC Great Room. The majority of the cross-cultural trips offered through the Global Perspectives office include travel dates happening during the summer months. Students accepted onto one of these trips may wish to visit our popular Travel Clearance Day event to help expedite pre-departure processes. At this event, students will have the opportunity to meet with representatives from campus offices including Records, Student Financial Services, Housing, and the Health Clinic to complete pre-departure paperwork. Notary staff are available to provide notarization for required trip documents. In addition, staff from the Global Perspectives office are on site to answer student questions regarding their departure process. The 2018-2019 Travel Clearance Day will be held on Thursday, April 11, 2019 from 9:00 AM to 4:00 PM in the Centenary Room.